A photograph of Emma Virginia McAfee Nellis, the daughter of Rev. Josiah B. and Anna R. Yowler McAfee. She was born June 28, 1855, in Leavenworth, Kansas, and came to Topeka with her family 1864. Mrs. Nellis taught school and was a musician at her church. She married Judge DeWitt Clinton Nellis on March 4, 1874. 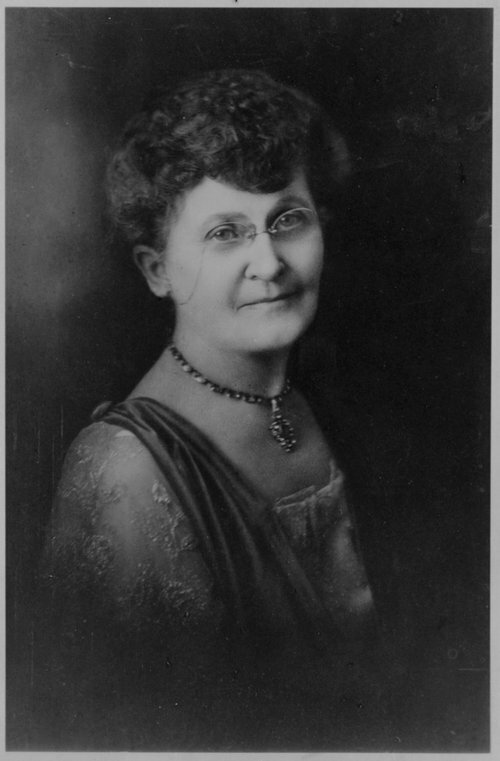 Mrs. Nellis was founder and first president of the Native Daughters of Kansas. She was a member of the Woman's Club of Topeka and the Young Women's Christian Association.